Adbhut Hai Mahima Dou Akshar Ke Naam Ki! Unique is the tale behind the two syllabled name. 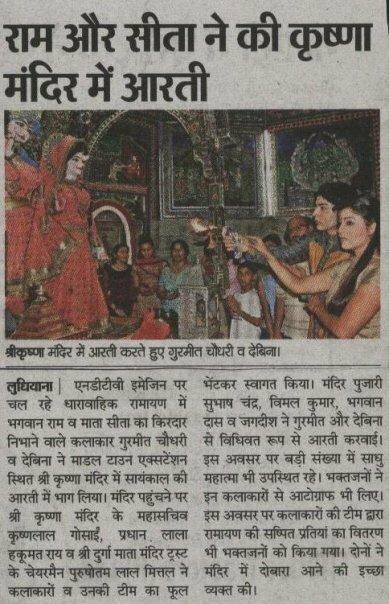 Suno Ram Katha aur Jai Bolo Shri Ram Ki! Listen to Ram's story and say "Glory to Shri Ram!" Hai Suphal Daayini Ramayan Sukh Dhaam Ki! Ramayan is the bestower of success and the happy abode of the Lord. Shri Ram Jai Ram Jai Jai Ram! Jai Shri Ram! Jai Jai Shri Ram! Luv Kush Santaane Sitapati Shri Ram Ki! Luv and Kush are the children of Sita's husband, Lord Ram. Hum Katha Sunaate Yugal Veer Baldhaam Ki! We tell the story of these dual brave warriors. They do the auspicious and destroy the inauspicious, they are Ram's heirs. Ek Dor Bandhi Luv Kush Se Ram Ke Naam Ki! Ram's name is joined with Luv Kush by a special thread. Suno Ram Katha Aur Jai Bolo SiyaRam Ki! Listen to Ram's story and say "Glory to SiyaRam!" Shri Ram Jai Ram Jai Jai Ram! Shri Ram Jai Ram Jai Jai Ram! These tweets are mostly Ramayan-related, where Gurmeet/Debina have either said something about Ramayan or retweeted someone who did. Other tweets apply to their relationship or nice things people have said about them that they retweeted. Happy Anniversary to my most favorite mythological show! 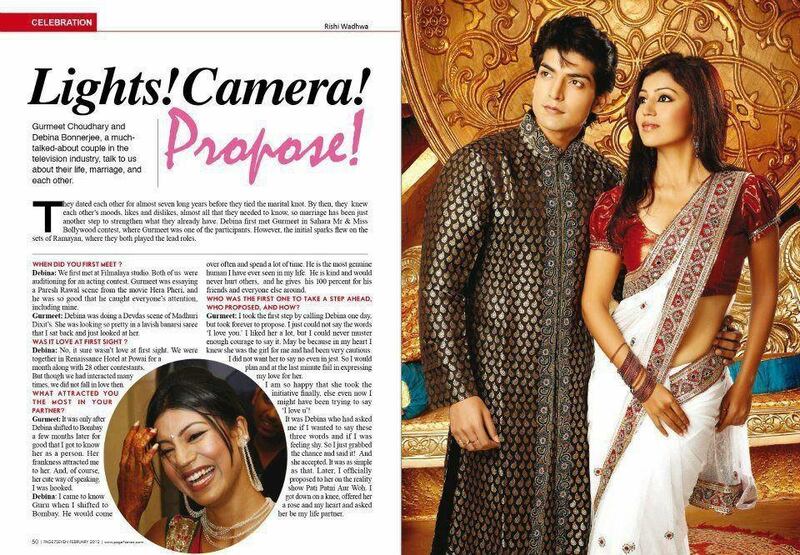 The months of January and February are always my most favorite in every year, as a great many dates come up for fans of Ramayan and Gurmeet-Debina to celebrate. Happy 7Th Anniversary NDTV Ramayan ! This one show I was so much glued to the Tv. 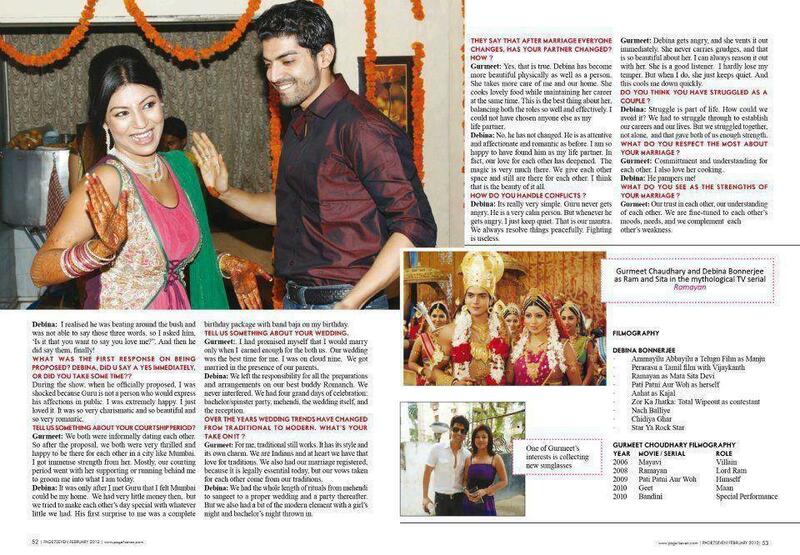 I am so glad that Gurmeet married Debina who is perfect as sita. I still respect this show a lot. This was the only show and is the only show which created history with the launch of NDTV Imagine Channel. 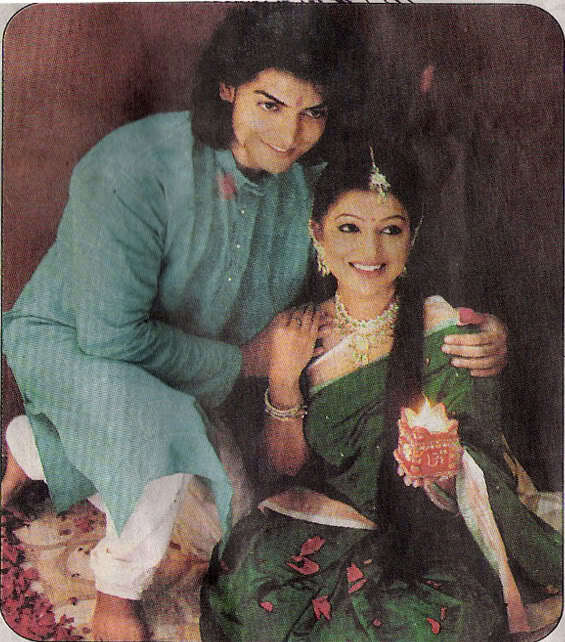 I wish this serial comes again on some nice channel like EPIC CHANNEL. 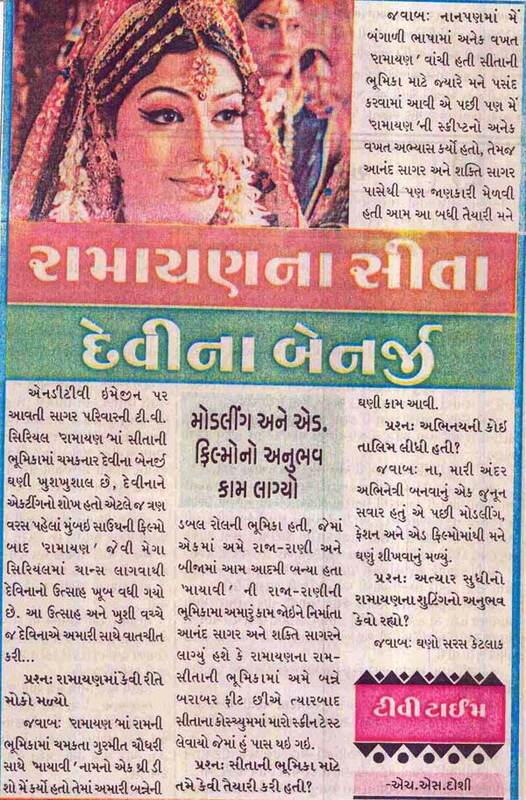 KUDOS TO THE WHOLE TEAM OF RAMAYAN. I LOVED ALL THE SCENES ESPECIALLY RAMA SITA SCENES AND RAMA LUV KUSH SCENES. Vije Bhatia, our Bharat, shared these offscreen pictures on instagram in honor of Ramayan's 7th anniversary. Aren't they great? Happy Belated 7th Anniversary Of Ramayan To Everyone !! Will Definitely Try To Make Something On This Occasion !! NDTV Ramayan Forum OPEN: please read! desigrl05 5 44403 03 May 2011 at 12:58am by .Comics_Music.